Sometimes couples remain married longer than they should for a variety of reasons. Some fear that they can’t afford a divorce; they’re worried that they can’t afford to hire a Cook County divorce lawyer or won’t be able to financially maintain a separate household. Basically, they fear the unknown. 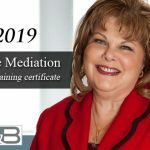 The financial, emotional and physical devastation that often accompanies a divorce can be overwhelming for both spouses as well as the children. Below is a list of some common mistakes made by divorce clients that should be avoided to ensure the divorce process is as painless as possible for everyone involved and maximize a favorable outcome. The need to “Win” every issue. Emotions run high during a divorce, and it’s easy to get caught up in the battle of trying to “beat your spouse” on even the smallest issues. Your Cook County divorce lawyer will advise you to fight for the important issues, but compromising on less important ones will increase the probability that the divorce process will be completed as efficiently and cost-effectively as possible. Choosing the Wrong Divorce Lawyer. Hiring a divorce lawyer in Cook County to represent you is a very important decision and not something that should be taken lightly. 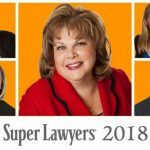 You need to choose an attorney that has the skill, experience and knowledge necessary to properly represents you and protect your rights in all aspects of the divorce. Choose wisely, because your divorce lawyer will be guiding you through one of the most difficult emotional and financial experiences of your life. Make sure they take the time to thoroughly explain the process, address your questions and concerns and provide realistic expectations regarding your options and next steps. Following the Advice of Friends and Family during the Divorce. While your family and friends might have your best interests at heart, the advice they provide may not always be accurate, helpful or relevant, even if they’ve been through a divorce in the past. Friends and family are great sources of emotional support, but you should leave the legal advice and tactical strategies to your Cook County divorce lawyer. Listen to your lawyer’s advice when making decisions that may be critical to the outcome of your case. Failing to Follow Your Divorce Lawyer’s Advice. OK, so you’ve taken the time and chosen the best Cook County divorce lawyer and now your case is about to begin. Don’t fall into the trap of not following your lawyer’s advice. You’re paying your lawyer for their knowledge, experience and the time they spend on your divorce. 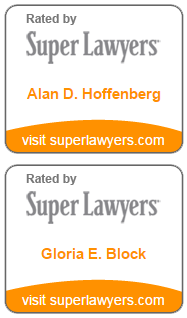 They are experts, so make sure that you follow their advice throughout the divorce process. Remember, even if you hire the best divorce lawyer in Cook County, their advice is useless if ignored. Failing to Set Realistic Expectations for a Favorable Outcome. This is no time to be unrealistic. A good divorce attorney will take the time to thoroughly explain the divorce process, address your questions and concerns, and help you develop realistic expectations regarding what your goals should be. Write down a list of goals that you hope to achieve in your new “separate” life, both financially and emotionally, and proceed with your divorce keeping those goals in mind. Don’t expect every issue in your divorce to be decided in your favor. Instead, concentrate on what you will need to move on with your life after the divorce is final. Whether you are thinking about a divorce, are in the middle of a divorce, or have post-divorce issues, you should always think about the financial impact of each move you make. Think strategically about the bigger picture, and avoid making emotionally-based decisions that you may regret down the line. If your actions are being solely driven by a need to hurt the other person, you probably are not making sound decisions. Always remember consult with your Cook County IL Divorce Lawyer, a neutral third party, who will be able to provide you with objective advice. Divorce Lawyers Chicago – Choosing the right divorce lawyer in Chicago. Chicago Family Lawyer – Hiring the right Chicago family law attorney for your case. 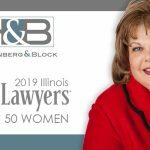 Family Law Attorney Chicago – What to ask a Chicago Divorce & Family Lawyer before you hire them. Chicago Divorce Attorney – What your Chicago divorce lawyer expects from you. Child Custody Lawyer Chicago – Chicago Child Custody Attorneys fighting for your child’s best interest. 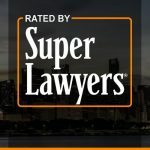 Best Chicago Divorce Lawyer – How to find the best divorce lawyer in Chicago to meet your needs. Top Divorce Lawyers Chicago – How can I find the divorce lawyer that is best for me? Lake County Divorce Lawyers – What is the Divorce Process in Lake County Illinois? 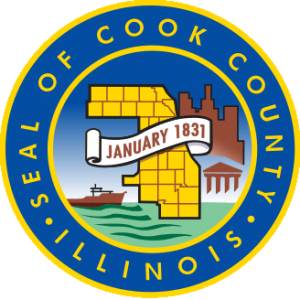 Cook County Divorce Lawyer – Common mistakes to avoid when getting divorced in Cook County Illinois.